Thirty-two summer fellows, including five University of Maine students and one University of Maine at Machias student, participated in the MDI Biological Laboratory 2017 summer fellowship program. The program provided undergraduates with hands-on research training in an advanced laboratory environment. On-campus co-curricular and residential life programs extended the impact of the programs, helping students develop professional skills and foster connections within the research community. Each student worked with a faculty mentor and other researchers on a specific research project in the biomedical field. Maine INBRE, a network of 13 educational and research institutions led by the MDI Biological Laboratory, supported 20 of the summer fellows. 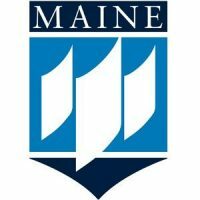 The aim of Maine INBRE, which is funded through the National Institutes of Health, is to create a biomedical training and research ecosystem for Maine to catalyze innovation and drive the creation of 21st-century jobs for Maine students. The MDI Biological Laboratory has trained more than 2,100 students since the program’s inception in 2001. Laura Paye, Westfield, Massachusetts; University of Maine Honors College; research site: University of Maine; mentor: Rebecca Van Beneden, Ph.D., professor of biochemistry and marine sciences, University of Maine; research topic: The effect of embryonic arsenic exposure on the sensorimotor behavior of zebrafish (Danio rerio). Isaiah Mansour, Fairfield, Connecticut; University of Maine; mentor, Kevin Strange, Ph.D., president and professor, MDI Biological Laboratory; research topic: Red abalone hemocyanin as an alternative hapten carrier for vaccine. “The summer fellowship experience gives students a leg up in their careers,” says Jane E. Disney, Ph.D., director of education at the MDI Biological Laboratory.